Bon Appetit prides itself on getting its resources from local and small farms. However, only 20% of CI food is “locally grown”. This encompasses a 150 mile radius (2015 Bon Appetite Management Company). The company does support small farms that earn under $5 million in sales annually, and these farms are committed to producing natural foods; no antibiotics, growth hormones, or byproducts in livestock feed. Currently all chicken and turkey comes from a minimum of 207 miles away. Bon Appetit is working on reducing its carbon footprint, but have not reached its fullest potential. 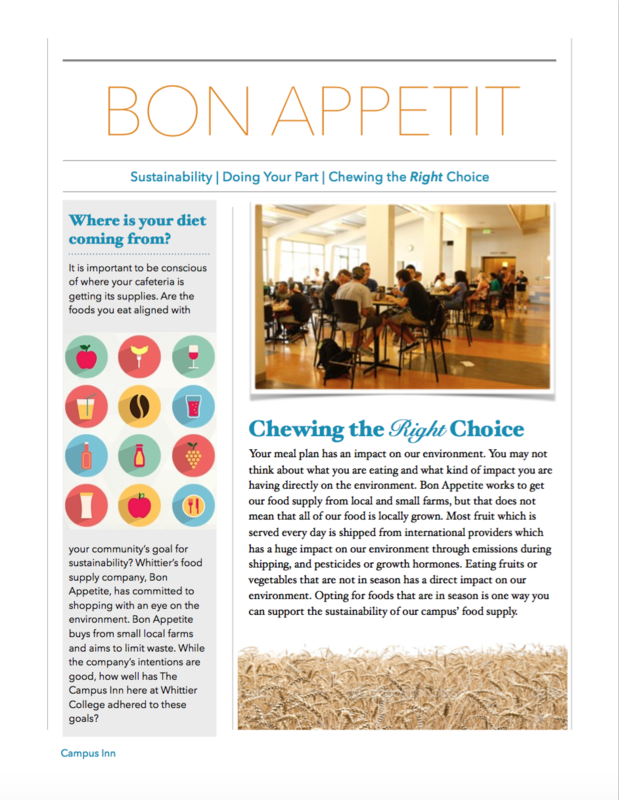 Although Bon Appetit does have an eye on the environment, we as students can help make improvements. With more students asking questions about the food they are eating, and a bigger push for sustainable food supply in our cafeteria improvemetns can be made. 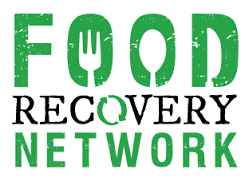 More support for the food recovery network is the first step, and our goal is to separate our waste in order to recycle or repurpose the material that would normally end up in a landfill. It is also our job as a student body to make sustainable food choices such as eating fruit that is in season. Lastly, we can encourage the CI to repurpose its waste; materials such as fryer oil can be sent to biofuel processors to be reused, and food waste can be sent to local farms to feed animals, and composting could be implemented as well. The CI has food shipped daily to our campus. Where is it coming from? Is the food I am eating coming from sustainable suppliers? Agribusiness is a huge part of everyday life and has a vital impact on the ecological footprint. Food grown unsustainably can have detrimental effects on your personal health and the future of foodways. Is the food locally grown? Local food is important in order to reduce emissions from shipping, support local business, and provide the best tasting food. Bon Appetite as a company is mindful of sustainable methods, but how well does Whittier Campus Inn carry out these efforts? 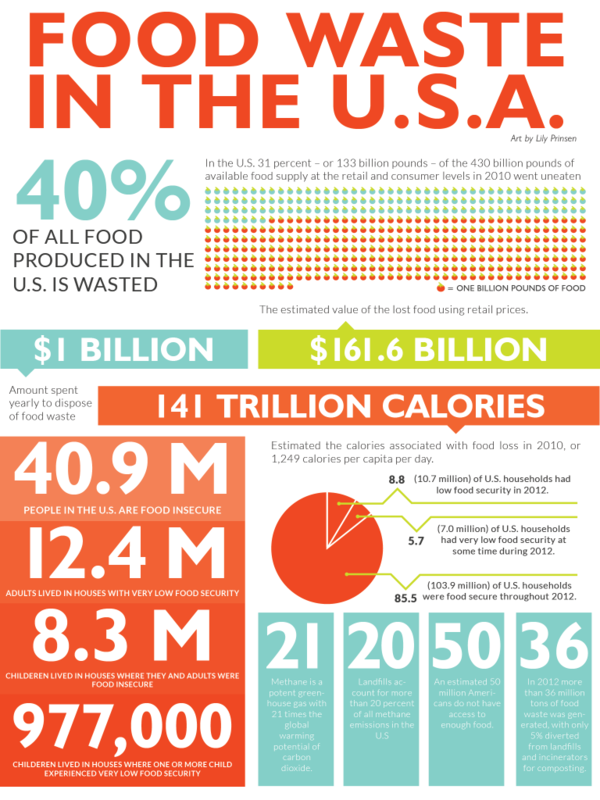 But, What About FOOD WASTE? This significant recovery of food has helped fight against waste in the “..U.S. where the average of food being wasted is about 40% each year (FRN).” With help from various partners such as: The Sustainability Fellows, Bon Appetit Food services, Homelessness and Hunger and more, the FRN has gained traction and continues to inspire environmental consciousness and humanitarian aid. 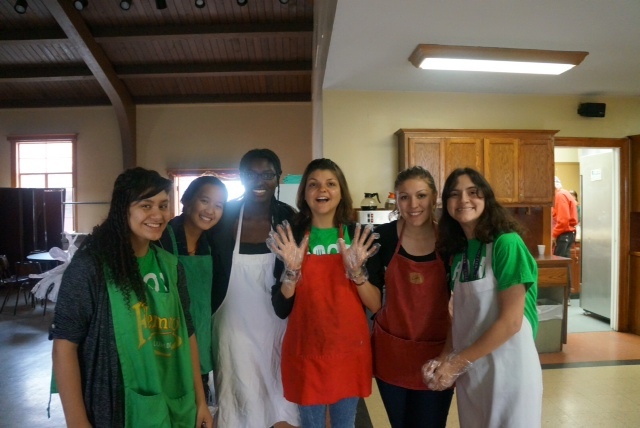 Through the connection with Bon Appetit, Whittier College is proud to be a part of making a difference through saving food with the FRN. Whittier College students have participated in recovering waste from the campus dinning hall, and have delivered the food to local communities in need within the downtown Whittier area. One of these places includes the city of Whittier’s St. Matthias Episcopal Church. The club on campus meets regularly every Monday and Friday to deliver food or discuss current events, issues, or fundraisers.